Winter - Illustration store PicsForDesign.com. PSP tubes, PSD illustrations, Vector illustrations. 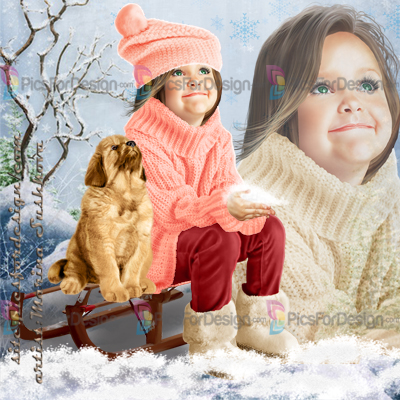 Girl, small girl, dog, snow, sled, snowdrift, snowfall, winter, pretty.